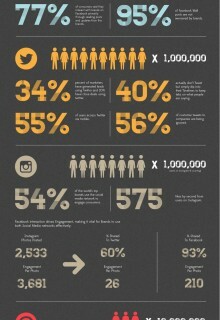 Its difficult to ignore the power of social media, here are some recent statistics that make interesting viewing! If you want to make the most of marketing your brand drop us a line and let us guide you though hashtags. Fix8 are a dynamic, creative graphic design and website studio based in emsworth. We are driven by an artistic vision, attention to detail and a passion for clean, clear and effective design. Covering everything from branding/logos, brochure design, flyers, leaflets, websites, photography and print across the South east and uk. We help our clients build brands to energise their businesses, stand out from the crowd and connect with their customers and market.